Comments: Joseph Vette (Nee: ) | Portsmouth Va | 1901-1920 | Comments: This 1910 Annual is the first issue of the colleges yearbook. 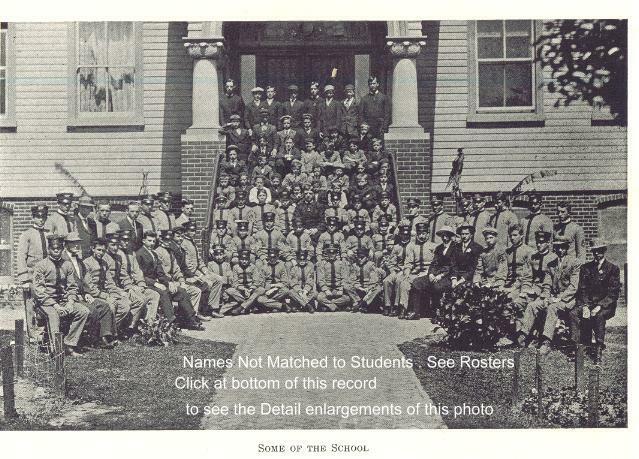 Old Point Comfort College was run by the Xaverian Brothers Order in Fort Monroe Virginia . To see all the photos scanned click at the bottom of this record Contact is webmaster@deadfred.com /// I have made 3 detail closeups of this photo which can be accessed by clicking at the bottom of this record . The Student Body Roster is also available in 3 parts . The names are not matched to the students .